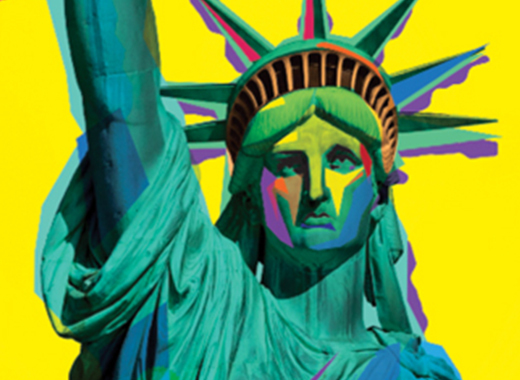 Hershey’s World Travel Retail – Zucconi Idea Agency, Inc.
Hershey’s is an American icon in the truest sense of the word; around the world, it’s powerfully emblematic of American culture. So it makes perfect sense for the brand to elevate its presence in duty-free shopping venues across the globe. With that in mind, we were asked to create two new exclusive premium items: fun, souvenir-worthy gifts that would merge brand iconography with evocative American themes. 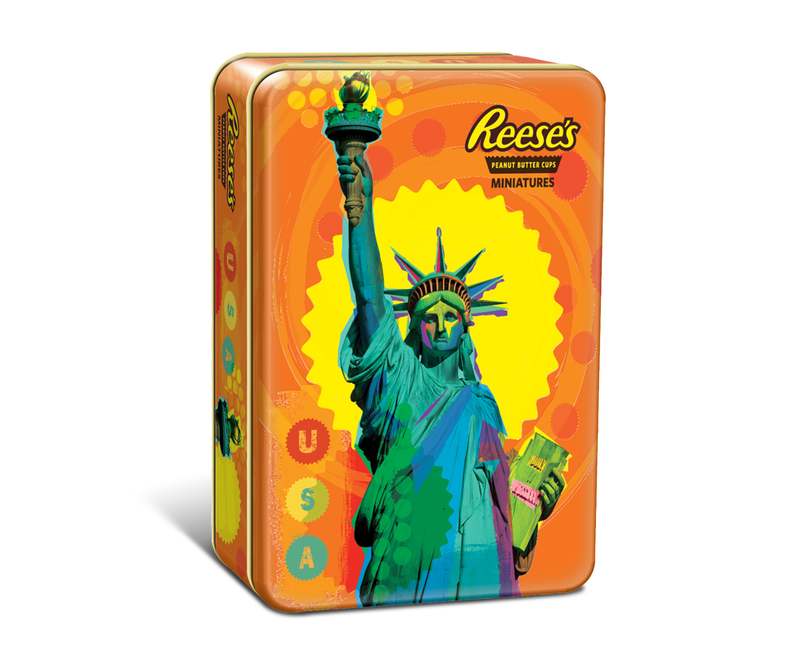 We created two unique gift tins – one for Hershey’s, one for Reese’s – featuring excitingly contemporary modern-art-inspired graphics and imagery. 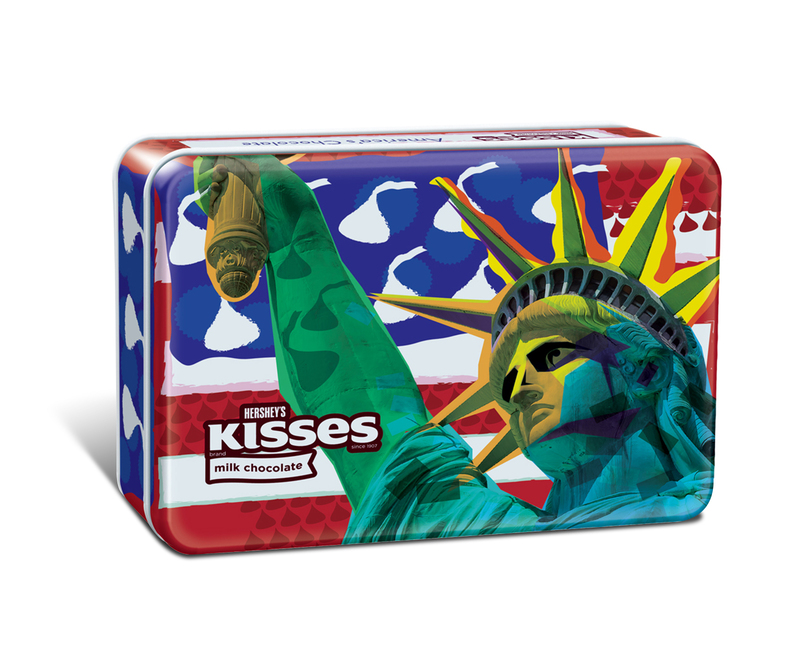 In other words, a little bit of Hershey’s (and America) for visitors to take home.